Searching for a new job can be a frustrating time for anyone. The best thing to do (mostly for your own sanity) is to be as organized as possible from the get go. 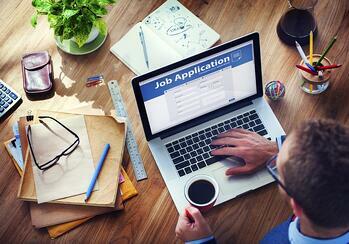 Here are a few simple tips to help you find that job. Create a spreadsheet that outlines all of the jobs for which you have applied. Include the company, when you applied, what you submitted, when the interview is scheduled, follow-up, and the status of the application. This will help you not to mix up applications, apply more than once, forget an interview, and remind you to follow up. Save every job description of the jobs for which you are interested in or applied. Several companies will take down the listing once they start interviewing and you won’t have access to it. Using the job description is great way to not only help during your preparation, but you can also use the details to come up with a list of questions to ask at the interview. The more detailed your questions about the job, its responsibilities, and how you would fit into the organization are, the more you can show your interest in the job. Focus on only one application at a time. Applying for jobs is time consuming and there really are no shortcuts when it comes to writing a resume and cover letter. By working on multiple applications at once, you increase the chance of typos, grammar errors, or even sending the wrong resume to a company. If you get burned out or stuck, close out of everything and start working on a different application.